Even if you find yourself not doing as well as you hoped saving $5 bills, could it be that you’re not fully committed to the plan? If yes, are you also still paying for most purchases with a credit or debit card and not using cash? As I’ve said before, you can’t get a $5 back if you pay with plastic. If you want to get back on track with your savings, I suggest you consider using cash for at least three or four of your weekly consumer needs. Gasoline? Groceries? Lunches at work? Tolls or transit tickets for commuting? That daily purchase of bottled water? Using cash just for lunches, for instance, especially if you pay for lunch every day at work, will help you jumpstart your $5 savings plan. Try it. In no time, you’ll see what I mean. I started writing this blog a few months ago, on July 10 to be exact. In a post on July 22, I challenged readers to join the Save Your $5s Club, for one month, and then to take a step back and see how it’s been working out for you. Another month has passed so I recently added up my $5s deposits since starting the blog and see that I’ve saved approximately $500 in $5s since then. Again, for full disclosure, my husband generously adds to my $5 stash here and there; still, $500 is not bad considering we spend much of the summer in our vegetable garden and out on the clam flats of Cape Cod rather than in stores consuming more stuff. More important, I want to hear from you, my readers. 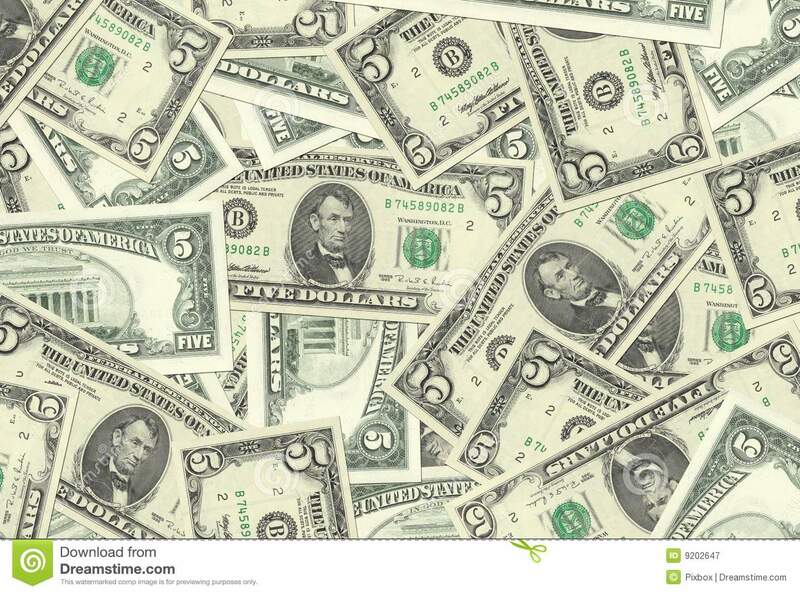 If you are saving your $5s, would you be so kind as to leave a comment and tell us: How long have you been saving $5 bills and how much have you saved? Please, leave a comment; I predict it will help encourage more of us to start the practice and even pull in a few new believers who happen to read this post on the blog. Let’s not get lost in a sea of $5s. In fact, in order to make the Save Money Fast With Fives plan work for you, you actually need to carry around sufficient singles. Here’s why. First, if you always have a wad of singles on you, you won’t be tempted to spend a $5 bill, say, on a tip in a restaurant, or on a small purchase like a pack of gum. In fact, when I’m faced with the dilemma of forking over a five or forsaking the Starbucks or Dunkin D’s, I go without the joe. Second, singles accumulate like weeds in the course of a few days, so even though you can’t add them to your stash of fives, you can always trade them in at a store or with a friend for a $5. Finally, singles are a great reminder that a lot of our daily impulse purchases (a candy bar, a can of soda, a bottle of water) are unnecessary when you have to peel off several singles to pay for them. Remember, in an earlier post, I said the Save Your Money Fast With Fives plan is like a game? 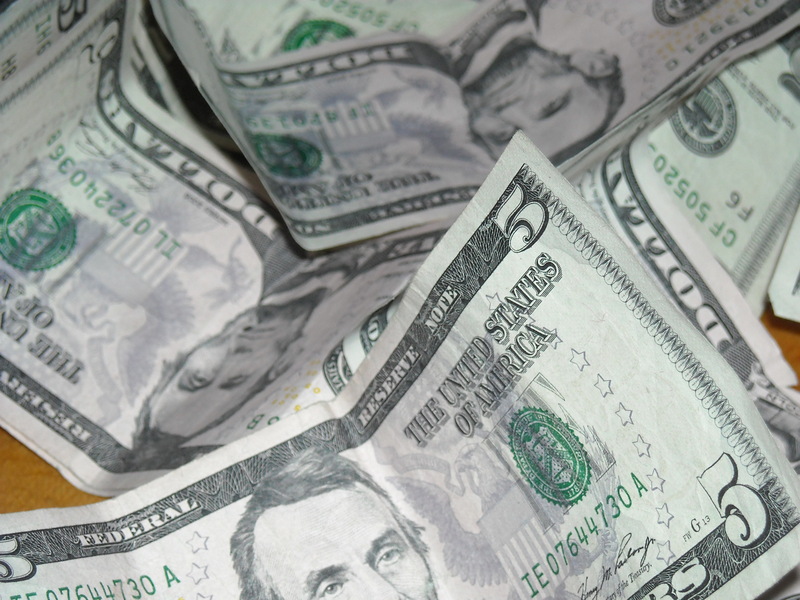 Keeping yourself awash in a wad of singles is one of the minor rules that can help you win. Readers, please leave a comment and tell us about one of the silly little rules you use to help yourself save money. Everyone I know who saves fives does it differently. One friend has great wads of them in a Chanel makeup pouch in her linen closet; another keeps them in the covered tureen of her mother’s antique china; while yet another saver systematically puts one five on page five of every book in her library. I think that’s a bit compulsive (and odd, to tell the truth), but whatever helps a person save works for me. What’s most important is to have ease of access for adding to your growing stash and a hiding place secure enough to thwart sticky-fingered family members, or thieves. I keep them in a safe hiding place at home and each time my stash reaches $100, I deposit them down the street in a savings bank. Once this reaches $1000, I buy a CD with it to earn more interest and transfer the funds to an investment account. I hear the naysayers criticizing me for not investing the funds for a higher return. Fact is, I have other brokerage accounts and retirement funds doing that for me, but the $5s account is different, and separate. A caveat: None of these ideas (except the bank) guarantees the safety of your stash, so you want to be careful not to chat about your hiding place in public… or in front of your teenagers. And as tempting as it is to keep your large stack of fives at home to play with occasionally, it’s safer and more prudent to move them to the bank on a regular basis. 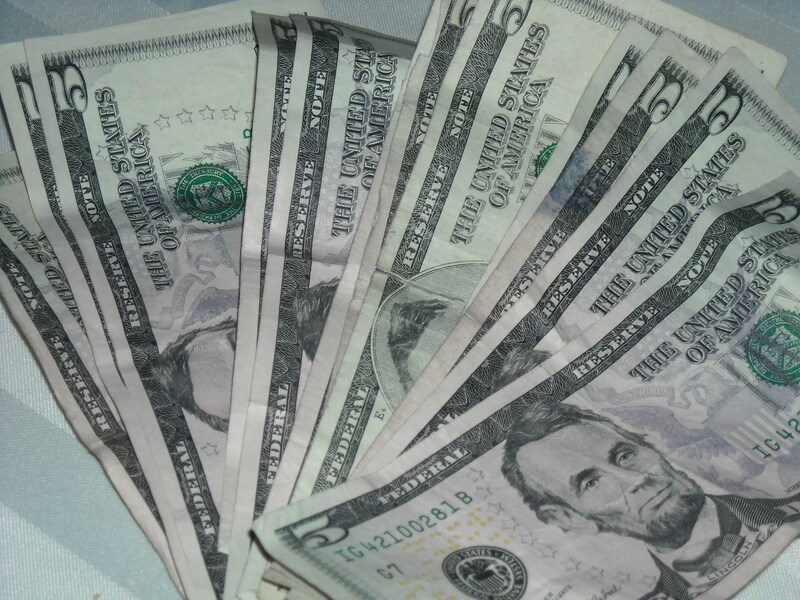 Readers, tell us in a comment, where do you keep your $5s as you’re building a nest egg? Can’t wait to hear all your hiding places, and thanks for stopping by.